Plastics have transformed every aspect of our lives. Yet the very properties that make them attractive—they are cheap to make, light, and durable—spell disaster when trash makes its way into the environment. 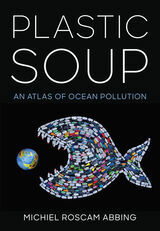 Plastic Soup: An Atlas of Ocean Pollution is a beautifully-illustrated survey of the plastics clogging our seas, their impacts on wildlife and people around the world, and inspirational initiatives designed to tackle the problem. In Plastic Soup, Michiel Roscam Abbing of the Plastic Soup Foundation reveals the scope of the issue: plastic trash now lurks on every corner of the planet. With striking photography and graphics, Plastic Soup brings this challenge to brilliant life for readers. Yet it also sends a message of hope; although the scale of the problem is massive, so is the dedication of activists working to check it. Plastic Soup highlights a diverse array of projects to curb plastic waste and raise awareness, from plastic-free grocery stores to innovative laws and art installations. According to some estimates, if we continue on our current path, the oceans will contain more plastic than fish by the year 2050. Created to inform and inspire readers, Plastic Soup is a critical tool in the fight to reverse this trend. 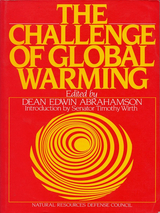 Challenge of Global Warming examines the causes and effects of global climate change. “Cost-benefit analysis” is a term that is used so frequently we rarely stop to think about it. But relying on it can lead to some dubious conclusions, as Frank Ackerman points out in this eye-opening book. For example, some economists have argued that states should encourage—and even subsidize—cigarette smoking by citizens because smoking will shorten life spans and therefore reduce the need and expense of caring for the elderly. How did the economists reach that conclusion? The answer is cost-benefit analysis, Ackerman explains. Then in clear, understandable language, he describes an alternative, precautionary approach to making decisions under uncertainty. Once a mere theory, the precautionary principle has now been applied in practice through the European Union’s REACH protocol. Citing major studies, many of which he has directed, he shows that the precautionary approach has not only worked, but has been relatively cheap. 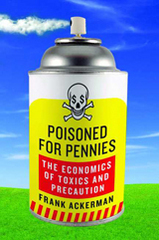 Poisoned for Pennies shows how the misuse of cost-benefit analysis is impeding efforts to clean up and protect our environment, especially in the case of toxic chemicals. According to Ackerman, conservatives—in elected office, in state and federal regulatory agencies, and in businesses of every size—have been able to successfully argue that environmental clean-up and protection are simply too expensive. But he proves, that is untrue in case after case. Ackerman is already well known for his carefully reasoned attacks on the conventional wisdom about the costs of environmental regulation. This new book, which finds Ackerman ranging from psychological research to risk analysis to the benefits of aggressive pesticide regulation, and from mad cow disease to lead paint, will further his reputation as a thought leader in environmental protection. We can’t afford not to listen to him. The earnest warnings of an impending "solid waste crisis" that permeated the 1980s provided the impetus for the widespread adoption of municipal recycling programs. Since that time America has witnessed a remarkable rise in public participation in recycling activities, including curbside collection, drop-off centers, and commercial and office programs. Recently, however, a backlash against these programs has developed. A vocal group of "anti-recyclers" has appeared, arguing that recycling is not an economically efficient strategy for addressing waste management problems.In Why Do We Recycle? Frank Ackerman examines the arguments for and against recycling, focusing on the debate surrounding the use of economic mechanisms to determine the value of recycling. Based on previously unpublished research conducted by the Tellus Institute, a nonprofit environmental research group in Boston, Massachusetts, Ackerman presents an alternative view of the theory of market incentives, challenging the notion that setting appropriate prices and allowing unfettered competition will result in the most efficient level of recycling. Among the topics he considers are: externality issues -- unit pricing for waste disposal, effluent taxes, virgin materials subsidies, advance disposal fees the landfill crisis and disposal facility siting container deposit ("bottle bill") legislation environmental issues that fall outside of market theory calculating costs and benefits of municipal recycling programs life-cycle analysis and packaging policy -- Germany's "Green Dot" packaging system and producer responsibility the impacts of production in extractive and manufacturing industries composting and organic waste management economics of conservation, and material use and long-term sustainability Ackerman explains why purely economic approaches to recycling are incomplete and argues for a different kind of decisionmaking, one that addresses social issues, future as well as present resource needs, and non-economic values that cannot be translated into dollars and cents.Backed by empirical data and replete with specific examples, the book offers valuable guidance for municipal planners, environmental managers, and policymakers responsible for establishing and implementing recycling programs. It is also an accessible introduction to the subject for faculty, students, and concerned citizens interested in the social, economic, and ethical underpinnings of recycling efforts. Does the maximization of individual welfare really lead to social welfare? How can we deal with questions of relative welfare and of equity? How do we define, or at least understand, individual and social welfare? And how can these things be measured, or even assessed? 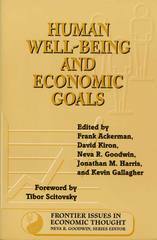 Human Well-Being and Economic Goals brings together more than 75 concise summaries of the most significant literature in the field that consider issues of present and future individual and social welfare, national development, consumption, and equity. Like its predecessors in the Frontier Issues in Economic Thought series, it takes a multidisciplinary approach to economic concerns, examining their sociological, philosophical, and psychological aspects and implications as well as their economic underpinnings. Human Well-Being and Economic Goals provides a powerful introduction to the current and historical writings that examine the concept of human well-being in ways that can help us to set goals for economic activity and judge its success. It is a valuable summary and overview for students, economists, and social scientists concerned with these issues. Human impacts on the environment are largely driven by economic forces. If a more ecologically sustainable world is to be achieved, significant changes must be made to the current growth- and consumption-dependent economic system. The Frontier Issues in Economic Thought series was designed to assist the growing number of economists and others who are responding to the need for new thinking about economics in the face of environmental and social forces that are reshaping the world.The Changing Nature of Work examines the causes and effects of the rapid transformation of the world of work. It provides concise summaries of the key writings on work and workplace issues, extending the frontiers of labor economics to include the often overlooked social and psychological dimensions of work.The book begins with a foreword by former Secretary of Labor Robert Reich that presents labor in contemporary perspective. An introductory overview provides a brief history of the changing nature of work and situates current problems in the context of longer-term developments. Following that are eight topical sections that feature three- to five-page summaries for each of the ten to twelve most important articles or book chapters on a subject.Sections cover.new directions in labor economics social and psychological dimensions of work and unemployment globalization and labor new technologies and organizational change flexibility and internal labor markets new patterns of industrial relations family, gender, paid and unpaid work difference and diversity in the workplaceThe book provides a roadmap for scholars on the vast and diverse literature concerning labor issues, and affords students a quick overview of that rapidly changing field. It is an important contribution to the series and is a valuable book for anyone interested in labor, as well as for students and scholars of labor economics, industrial sociology, industrial relations, social psychology, and their respective disciplines. Renewable Resource Policy is a comprehensive volume covering the history, laws, and important national policies that affect renewable resource management. The author traces the history of renewable natural resource policy and management in the United States, describes the major federal agencies and their functions, and examines the evolution of the primary resource policy areas. The book provides valuable insight into the often neglected legal, administrative, and bureaucratic aspect of natural resource management. It is a definitive and essential source of information covering all facets of renewable resource policy that brings together a remarkable range of information in a coherent, integrated form. Over the past century, humans have molded the Colorado River to serve their own needs, resulting in significant impacts to the river and its ecosystems. Today, many scientists, public officials, and citizens hope to restore some of the lost resources in portions of the river and its surrounding lands. Environmental restoration on the scale of the Colorado River basin is immensely challenging; in addition to an almost overwhelming array of technical difficulties, it is fraught with perplexing questions about the appropriate goals of restoration and the extent to which environmental restoration must be balanced against environmental changes designed to promote and sustain human economic development. Restoring Colorado River Ecosystems explores the many questions and challenges surrounding the issue of large-scale restoration of the Colorado River basin, and of large-scale restoration in general. Robert W. Adler evaluates the relationships among the laws, policies, and institutions governing use and management of the Colorado River for human benefit and those designed to protect and restore the river and its environment. He examines and critiques the often challenging interactions among law, science, economics, and politics within which restoration efforts must operate. Ultimately, he suggests that a broad concept of “restoration” is needed to navigate those uncertain waters, and to strike an appropriate balance between human and environmental needs. While the book is primarily about restoration of Colorado River ecosystems, it is also about uncertainty, conflict, competing values, and the nature, pace, and implications of environmental change. It is about our place in the natural environment, and whether there are limits to that presence we ought to respect. And it is about our responsibility to the ecosystems we live in and use. This volume explores the issues associated with the complex subject of water quality protection in an assessment of the successes and failures of the Clean Water Act over the past twenty years. In addition to examining traditional indicators of water quality, the authors consider how health concerns of the public have been addressed, and present a detailed examination of the ecological health of our waters. Taken together, these measures present a far more complete and balanced picture than raw water quality data alone. As well as reviewing past effectiveness, the book includes specific recommendations for the reauthorization of the Act, which is to be considered by Congress in 1995. This balanced and insightful account will surely shape the debate among legislative and policy experts and citizen activists at all levels who are concerned with issues of water quality. The structure of most virgin forests in the western United States reflects a past disturbance history that includes forest fire. James K. Agee, an expert in the emergent field of fire ecology, analyzes the ecological role of fire in the creation and maintenance of natural western forests, focusing primarily on forest stand development patterns. His discussion of the natural fire environment and the environmental effects of fire is applicable to a wide range of temperate forests. How do you measure biodiversity, and why should landscape architects and planners care? What are the essential issues, the clearest terminology, and the most effective methods for biodiversity planning and design? How can they play a role in biodiversity conservation in a manner compatible with other goals? 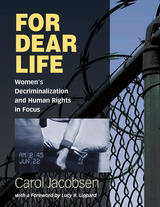 These are critical questions that Jack Ahern, Elizabeth Leduc, and Mary Lee York answer in this timely and useful book. Real-world case studies showcase biodiversity protection and restoration projects, both large and small, across the U.S.: the Woodland Park Zoo in Seattle,Washington; the Crosswinds Marsh Wetlands Mitigation Project in Wayne County, Michigan; the Florida Statewide Greenway System; and the Fort Devens Stormwater Project in Ayer, Massachusetts. Ahern shows how an interdisciplinary approach led by planners and designers with conservation biologists, restoration ecologists, and natural and social scientists can yield successful results and sustainable practices. Minimizing habitat loss and degradation-the principal causes of biodiversity decline-are at the heart of the planning and design processes and provide landscape architects and planners a chance to achieve their professional goals while taking a leading role in the environmental community. 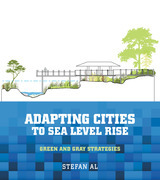 The first part of the book looks at the challenges for cities that have historically faced sea-level rise and flooding issues, and their response in resiliency through urban design. He presents diverse case studies from New Orleans to Ho Chi Minh to Rotterdam, and draws best practices and urban design typologies for the second part of the book. Part two is a graphic catalogue of best-practices or resilience strategies. These strategies are organized into four categories: hard protect, soft protect, store, and retreat. The benefits and challenges of each strategy are outlined and highlighted by a case study showing where that strategy has been applied. Any professional or policymaker in coastal areas seeking to protect their communities from the effects of climate change should start with this book. With the right solutions, Al shows, sea-level rise can become an opportunity to improve our urban areas and landscapes, rather than a threat to our communities. Vacant lots, so often seen as neighborhood blight, have the potential to be a key element of community revitalization. As manufacturing cities reinvent themselves after decades of lost jobs and population, abundant vacant land resources and interest in green infrastructure are expanding opportunities for community and environmental resilience. Vacant to Vibrant explains how inexpensive green infrastructure projects can reduce stormwater runoff and pollution, and provide neighborhood amenities, especially in areas with little or no access to existing green space. 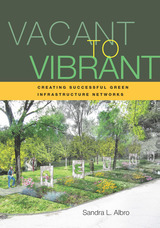 Sandra Albro offers practical insights through her experience leading the five-year Vacant to Vibrant project, which piloted the creation of green infrastructure networks in Gary, Indiana; Cleveland, Ohio; and Buffalo, New York. Vacant to Vibrant provides a point of comparison among the three cities as they adapt old systems to new, green technology. An overview of the larger economic and social dynamics in play throughout the Rust Belt region establishes context for the promise of green infrastructure. Albro then offers lessons learned from the Vacant to Vibrant project, including planning, design, community engagement, implementation, and maintenance successes and challenges. An appendix shows designs and plans that can be adapted to small vacant lots. Landscape architects and other professionals whose work involves urban greening will learn new approaches for creating infrastructure networks and facilitating more equitable access to green space. The Earth's biological, chemical, and physical systems are increasingly shaped by the activities of one species-ours. In our decisions about everything from manufacturing technologies to restaurant menus, the health of the planet has become a product of human choice. Environmentalism, however, has largely failed to adapt to this new reality. Reconstructing Earth offers seven essays that explore ways of developing a new, more sophisticated approach to the environment that replaces the fantasy of recovering pristine landscapes with a more grounded viewpoint that can foster a better relationship between humans and the planet. Braden Allenby, a lawyer with degrees in both engineering and environmental studies, explains the importance of technological choice, and how that factor is far more significant in shaping our environment (in ways both desirable and not) than environmental controls. Drawing on his varied background and experience in both academia and the corporate world, he describes the emerging field of "earth systems engineering and management," which offers an integrated approach to understanding and managing complex human/natural systems that can serve as a basis for crafting better, more lasting solutions to widespread environmental problems. Reconstructing Earth not only critiques dysfunctional elements of current environmentalism but establishes a foundation for future environmental management and progress, one built on an understanding of technological evolution and the cultural systems that support modern technologies. Taken together, the essays offer an important means of developing an environmentalism that is robust and realistic enough to address the urgent realities of our planet. Reconstructing Earth is a thought-provoking new work for anyone concerned with the past or future of environmental thought, including students and teachers of environmental studies, environmental policy, technology policy, technological evolution, or sustainability. 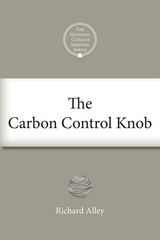 On November 2, 2011, Richard Alley participated in The National Climate Seminar, a series of webinars sponsored by Bard College’s Center for Environmental Policy. The online seminars provide a forum for leading scientists, writers, and other experts to talk about critical issues regarding climate change. The series also opens a public conversation, inviting participants to ask questions and contribute their own thoughts. Dr. Alley conducts research on the paleoclimatic record at The Pennsylvania State University in order to understand the history, and perhaps the future, of climate change. In his lecture, Alley gave a concise overview of why we know what we know about climate change, and what that evidence can tell us about today’s warming planet. Alley not only provides an accessible science lesson, but reveals his own greatest concerns about climate change and offers advice to those who want to stop debating the subtleties of climate science and act now. This E-ssential is an edited version of Alley’s talk and the subsequent question and answer session. 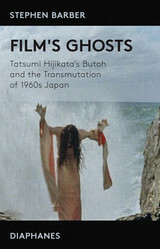 While some material has been cut and some language modified for clarity, the intention was to retain the substance of the original discussion. In this concise introduction to water resources, Shimon Anisfeld explores the fundamental interactions between humans and water, including drinking, sanitation, irrigation, and power production. The book familiarizes students with the current water crisis and with approaches for managing this essential resource more effectively in a time of rapid environmental and social change. Anisfeld addresses both human and ecological problems, including scarcity, pollution, disease, flooding, conflicts over water, and degradation of aquatic ecosystems. In addition to providing the background necessary to understand each of these problems, the book discusses ways to move towards better management and addresses the key current debates in the water policy field. In the past, water development has often proceeded in a single-sector fashion, with each group of users implementing its own plans without coordination with other groups, resulting in both conflict and inefficiency. Now, Anisfeld writes, the challenge of water management is figuring out how to balance all the different demands for water, from sanitation to energy generation to ecosystem protection. For inquiring students of any level, Water Resources provides a comprehensive one-volume guide to a complex but vital field of study. The Great Lakes are the largest system of freshwater lakes in the world and America’s greatest freshwater resource. For over a century they have been the target of controversial diversion schemes designed to sell, send, or ship water to thirsty communities, sometimes far from the source. In part to protect the Great Lakes from overzealous entrepreneurship, the Great Lakes Compact was signed in 2008. Although the Compact fulfills that promise and ensures that Great Lakes water stays within the Basin, some would say it has only shifted the controversy closer to home. Now water diversion controversies of a different kind are some of the most fought-over environmental issues in the region. Will the water wars ever be settled? Journalist Peter Annin delves deeply into the fraught history of water use in the Great Lakes region and recaps the story of the Chicago River diversion, which reversed the flow of the river, fundamentally transforming the Great Lakes ecosystem. A century later it remains “the poster child of bad behavior in the Great Lakes.” Today, with growing communities and a warming climate, tensions over water use are high, and controversies on the perimeter of the Great Lakes Basin are on the rise. In this new and expanded edition of The Great Lakes Water Wars, Annin shares the stories of New Berlin and Waukesha, two Wisconsin communities straddling the Basin boundary whose recent legal battles have tested the legislative strength of the newly signed Compact. Annin devotes a new chapter to the volatile issue of the invasive Asian carp—a voracious species that reproduces at a disturbing rate—which is transforming the ecology of the river as it makes its way through the Chicago River diversion and ever closer to Lake Michigan. 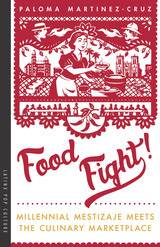 With three new chapters and significant revisions to existing chapters that bring the story up-to-date over the past decade, this is the definitive behind-the-scenes account of the people and stories behind hard-fought battles to protect this precious resource that makes the region so special for the millions who call it home. The Great Lakes are the largest collection of fresh surface water on earth, and more than 40 million Americans and Canadians live in their basin. Will we divert water from the Great Lakes, causing them to end up like Central Asia's Aral Sea, which has lost 90 percent of its surface area and 75 percent of its volume since 1960? Or will we come to see that unregulated water withdrawals are ultimately catastrophic? 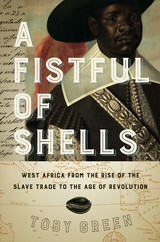 Peter Annin writes a fast-paced account of the people and stories behind these upcoming battles. 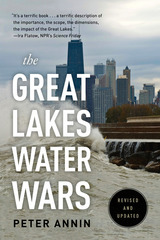 Destined to be the definitive story for the general public as well as policymakers, The Great Lakes Water Wars is a balanced, comprehensive look behind the scenes at the conflicts and compromises that are the past-and future-of this unique resource. Restoring Ecological Health to Your Land is the first practical guidebook to give restorationists and would-be restorationists with little or no scientific training or background the “how to” information and knowledge they need to plan and implement ecological restoration activities. The book sets forth a step-by-step process for developing, implementing, monitoring, and refining on-the-ground restoration projects that is applicable to a wide range of landscapes and ecosystems. The first part of the book introduces the process of ecological restoration in simple, easily understood language through specific examples drawn from the authors’ experience restoring their own lands in southern and central Wisconsin. It offers systematic, step-by-step strategies along with inspiration and benchmark experiences. The book’s second half shows how that same “thinking” and “doing” can be applied to North America’s major ecosystems and landscapes in any condition or scale. No other ecological restoration book leads by example and first-hand experience likethis one. The authors encourage readers to champion restoration of ecosystems close to where they live . . . at home, on farms and ranches, in parks and preserves. It provides an essential bridge for people from all walks of life and all levels of experience—from land trust member property stewards to agency personnel responsible for restoring lands in their care—and represents a unique and important contribution to the literature on restoration. Restoring Ecological Health to Your Land was the first practical guidebook to give restorationists and would-be restorationists with little or no scientific background the "how to" information and knowledge they need to plan and implement ecological restoration activities. The book sets forth a step-by-step process for developing, implementing, monitoring, and refining on-the-ground restoration projects that is applicable to a wide range of landscapes and ecosystems. This companion workbook describes more fully the planning tools and techniques outlined in the book and offers a wealth of specific resources, including worksheets and spreadsheets to help you determine what equipment and plant materials you need, create project schedules, monitor results, and estimate costs. Online versions of the forms are available, making it even easier for you to incorporate them into your own projects. In addition, the authors and their network of professional advisers are offering free consulting sessions of up to one hour to purchasers of the book, giving you expert knowledge and experience that can help make your project a success. Both books make the process of restoration accessible to everyone, from professional land managers to volunteer stewards. The tools offered will help you collect and process the information you need to make good decisions about your projects and are an invaluable resource for anyone thinking about or working on a hands-on restoration project. Before the transition in forestry can be made from conventional approaches of the past century to the ecosystem approach of the next, a consensus must be reached on the meaning of "sustainable forestry." Defining Sustainable Forestry presents the results of a national conference convened by The Wilderness Society, American Forests, and the World Resources Institute to help establish a common framework upon which to guide the future development of forestry. Growing Greener is an illustrated workbook that presents a new look at designing subdivisions while preserving green space and creating open space networks. Randall Arendt explains how to design residential developments that maximize land conservation without reducing overall building density, thus avoiding the political and legal problems often associated with "down-zoning." The author offers a three-pronged strategy for shaping growth around a community's special natural and cultural features, demonstrating ways of establishing or modifying the municipal comprehensive plan, zoning ordinance, and subdivision ordinance to include a strong conservation focus. Open space protection becomes the central organizing principle for new residential development, and the open space that is protected is laid out to form an interconnected system of protected lands running across a community. In addition, Growing Greener includes eleven case studies of actual conservation developments in nine states, and two exercises suitable for group participation. 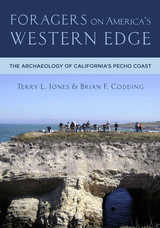 Case studies include: Ringfield, Chadds Ford Township, Pennsylvania; The Fields of St. Croix, City of Lake Elmo, Minnesota; Prairie Crossing, Grayslake, Illinois; The Meadows at Dolly Gordon Brook, York, Maine; Farmcolony, Standsville, Virginia; The Ranch at Roaring Fork, Carbondale, Colorado; and others. 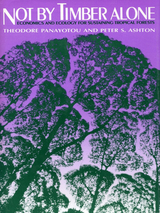 Growing Greener builds upon and expands the basic ideas presented in Arendt's earlier work Conservation Design for Subdivisions, broadening the scope to include more detailed sections on the comprehensive planning process and information on how zoning ordinances can be updated to incorporate the concept of conservation design. It is the first practical publication to explain in detail how resource-conserving development techniques can be put into practice by municipal officials, residential developers, and site designers, and it offers a simple and straightforward approach to balancing opportunities for developers and conservationists. In most communities, land use regulations are based on a limited model that allows for only one end result: the production of more and more suburbia, composed of endless subdivisions and shopping centers, that ultimately covers every bit of countryside with "improvements." Fortunately, sensible alternatives to this approach do exist, and methods of developing land while at the same time conserving natural areas are available. In Conservation Design for Subdivisions, Randall G. Arendt explores better ways of designing new residential developments than we have typically seen in our communities. He presents a practical handbook for residential developers, site designers, local officials, and landowners that explains how to implement new ideas about land-use planning and environmental protection. Abundantly illustrated with site plans (many of them in color), floor plans, photographs, and renditions of houses and landscapes, it describes a series of simple and straightforward techniques that allows for land-conserving development. The author proposes a step-by-step approach to conserving natural areas by rearranging density on each development parcel as it is being planned so that only half (or less) of the buildable land is turned into houselots and streets. Homes are built in a less land-consumptive manner that allows the balance of property to be permanently protected and added to an interconnected network of green spaces and green corridors. Included in the volume are model zoning and subdivision ordinance provisions that can help citizens and local officials implement these innovative design ideas. Shaped by fire for thousands of years, the forests of the western United States are as adapted to periodic fires as they are to the region's soils and climate. Our widespread practice of ignoring the vital role of fire is costly in both ecological and economic terms, with consequences including the decline of important fire-dependent tree and undergrowth species, increasing density and stagnation of forests, epidemics of insects and diseases, and the high potential for severe wildfires. Flames in Our Forest presents a new picture of the role of fire in maintaining forests, describes the options available for restoring the historical effects of fires, and considers the implications of not doing so. It will help readers appreciate the importance of fire in forests and gives a nontechnical overview of the scientific knowledge and tools available for sustaining western forests by mimicking and restoring the effects of natural fire regimes. The magnificent stands of old-growth trees that characterize the forests of western North America depend on periodic fires for their creation or survival. Deprived of that essential disturbance process eventually they die, leaving an overcrowded growth of smaller trees vulnerable to intense blazes and epidemics of insects and disease. In Mimicking Nature's Fire, forest ecologists Stephen Arno and Carl Fiedler present practical solutions to the pervasive problem of deteriorating forest conditions in western North America. Advocating a new direction in forest management, they explore the promise of "restoration forestry" -- an ecologically based approach that seeks to establish forest structures in which fire can once again serve as a beneficial process rather than as a destructive aberration. The book begins with an overview of fundamentals: why traditional forestry tried to exclude fire from forests, why that attempt failed, and why foresters and ecologists now recognize the need for management based on how natural ecosystems operate. 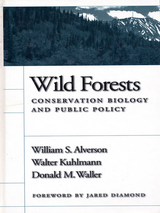 Subsequent chapters consider: how fire's historic role provides a foundation for designing restoration strategies; why a hands-off approach will not return forests to their historical condition; how management goals influence the strategies used in restoration forestry. 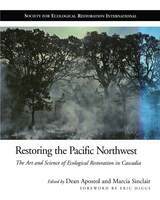 The second part of the book presents case studies of restoration projects in the western United States and Canada, representing different forest types, different historic fire regimes, and contrasting management goals. For each project, the authors describe why and how the project is being conducted, profile forest conditions, and describe methods of treatment. They also report what has been accomplished, identify obstacles to restoration, and offer their candid but understanding evaluation. Mimicking Nature's Fire concludes by placing restoration forestry in the broad context of conserving forests worldwide and outlining factors critical for its success. How can environmental degradation be stopped? How can it be reversed? And how can the damage already done be repaired? The authors of this volume argue that a two-pronged approach is needed: reducing demand for ecosystem goods and services and better management of them, coupled with an increase in supply through environmental restoration. Nineteen case studies from around the world illustrate challenges and achievements in setting targets, refining approaches to finding and implementing restoration projects, and using restoration of natural capital as an economic opportunity. Throughout, contributors make the case that the restoration of natural capital requires close collaboration among scientists from across disciplines as well as local people, and when successfully executed represents a practical, realistic, and essential tool for achieving lasting sustainable development. Cork oak has historically been an important species in the western Mediterranean—ecologically as a canopy or “framework” tree in natural woodlands, and culturally as an economically valuable resource that underpins local economies. Both the natural woodlands and the derived cultural systems are experiencing rapid change, and whether or not they are resilient enough to adapt to that change is an open question. Cork Oak Woodlands on the Edge provides a synthesis of the most up-to-date, scientific, and practical information on the management of cork oak woodlands and the cultural systems that depend on cork oak. In addition, Cork Oak Woodlands on the Edge offers ten site profiles written by local experts that present an in-depth vision of cork oak woodlands across a range of biophysical, historical, and cultural contexts, with sixteen pages of full-color photos that illustrate the tree, agro-silvopastoral systems, products, resident biodiversity, and more. Cork Oak Woodlands on the Edge is an important book for anyone interested in the future of cork oak woodlands, or in the management of cultural landscapes and their associated land-use systems. In a changing world full of risks and surprises, it represents an excellent example of a multidisciplinary and holistic approach to studying, managing, and restoring an ecosystem, and will serve as a guide for other studies of this kind. Designed by a partnership of UN agencies, international scientific organizations, and development agencies, the Millennium Ecosystem Assessment (MA) is the most extensive study ever of the linkages between the world’s ecosystems and human well-being. The goal of the MA is to establish the scientific basis for actions needed to enhance the contribution of ecosystems to human well-being without undermining their long-term productivity. With contributions by more than 500 scientists from 70 countries, the MA has proven to be one of the most important conservation initiatives ever undertaken, and the ecosystem services paradigm on which it is based provides the standard for practice. This manual supplies the specific tools that practitioners of the paradigm need in order to extend their work into the future. The manual is a stand-alone “how to” guide to conducting assessments of the impacts on humans of ecosystem changes. In addition, assessment practitioners who are looking for guidance on particular aspects of the assessment process will find individual chapters of this manual to be useful in advancing their understanding of best practices in ecosystem assessment. The manual builds on the experiences and lessons learned from the Millennium Ecosystem Assessment global and sub-global assessment initiatives, with chapters written by well-known participants in those initiatives. It also includes insights and experiences gained from a wider range of ecosystem service-focused assessment activities since the completion of the MA in 2005. Technology, Law, and the Working Environment provides a thorough discussion of the legal issues relevant to technology-related workplace problems. It includes detailed chapters that examine occupational health and safety, toxic substance regulations, technology bargaining, and the law as it applies to the work environment. The authors explore the scope of right-to-know requirements and other worker rights, and examine the legal consequences of injury and disease for both workers and firms.After discussing the evolution of technology, work, and health since the turn of the century, the authors explore the economic and political forces that spurred the development of a variety of legal responses.Among the topics considered are: costs of occupational disease and injury market alternatives to regulating health and safety the role of economic considerations in setting standards the usefulness of economic analysis in regulatory decisionmaking the relationship between environmental regulation and workplace regulation Throughout, the text is supplemented with excerpts from key judicial decisions and selected expert commentaries that provide valuable insights into how to use the law to best effect in the workplace. Not by Timber Alone presents the findings of the Harvard Institute for International Development study, commissioned by the International Tropical Timber Organization, that examined the economic value of tropical hardwood forests as productive living systems and the potential for their multiple use management. From the solitary windmill standing sentry over a rural homestead to the sleek machinery of a modern wind farm, windmills are a powerful symbol of self-reliance and human ingenuity. Once the province of backyard tinkerers and eccentric inventors, they have over the past two decades entered the mainstream to be embraced by environmentalists, venture capitalists, and policymakers alike. But reaching that point wasn't easy.In Reaping the Wind, journalist Peter Asmus tells the fascinating and convoluted history of commercial wind power in the United States. He introduces readers to maverick scientists and technologists who labored in obscurity, to entrepreneurs and visionary capitalists who believed that a centuries-old idea could be made feasible in the modern world, and to enterprising financial advisers and investors who sought to exploit the last great tax shelter in federal history. Beginning with the early pioneers, from William Heronemus, a former U.S. Navy captain who dreamt of huge floating wind farms off the coast of New England, to the $40 million success story of Jim Dehlsen of Zond, he offers an animated narrative that profiles the colorful cast of characters involved with the development of the American wind power industry.Reaping the Wind is both engaging and instructive, with information about the technologies and policies that drive the industry and give it promise interwoven with the human story of the struggle to develop -- against great odds -- reliable, clean energy from a source as unpredictable and seemingly uncontrollable as the wind. Anyone interested in renewable energy or the human and political drama behind the development of new technologies will find the book an engrossing and enlightening read. Climate change poses a huge threat to the West. The current mountain pine beetle epidemic with over 50 million acres of dying trees in western North America has created a powerful “teachable moment” across the region. The overwhelming scientific consensus holds that climate change is one of the most serious threats facing humankind today. We have a soberingly short time in which to reduce atmospheric greenhouse gases if we are to preserve our quality of life and environment. In addition to the global urgency, the American West is deeply dependent on the health of its forests, mountains and streams for both its quality of life and its economy. Put simply, if global warming shortens our winters, diminishes our recreation, and unleashes wildfires, diseases and insect epidemics that devastate our forests, the regional damage would be incalculable. NOW is the perfect time to learn more in this ebook. The Forests At Risk symposium represented the first substantial public forum focused directly on the connection between climate change and forest health in the American West. In the wake of millions of acres of pine beetle devastation across our continent, this is the ideal moment to highlight the climate change connection and focus on the question of what happens when our forests transform from carbon sinks into carbon sources. In 2000, Seattle, Washington, became the first U.S. city to officially adopt the U.S. Green Building Council’s LEED (Leadership in Energy and Environmental Design) “Silver” standards for its own major construction projects. In the midst of a municipal building boom, it set new targets for building and remodeling to LEED guidelines. Its first LEED certified project, the Seattle Justice Center, was completed in 2002. The city is now home to one of the highest concentrations of LEED buildings in the world. Building an Emerald City is the story of how Seattle transformed itself into a leader in sustainable “green” building, written by one of the principal figures in that transformation. It is both a personal account—filled with the experiences and insights of an insider—and a guide for anyone who wants to bring about similar changes in any city. It includes “best practice” models from municipalities across the nation, supplemented by the contributions of “guest authors” who offer stories and tips from their own experiences in other cities. Intended as a “roadmap” for policy makers, public officials and representatives, large-scale builders and land developers, and green advocates of every stripe, Building an Emerald City is that rare book—one that is both inspirational and practical.